If you are naturally creative and good with your hands, chances are that you would excel in a furniture designing career. Gone are the days when doctors, lawyers and the like were considered the only lucrative careers. Times have changed and the society is looking for new and unique ideas in all areas of their lives. You can be that person that uses your skills to create functional and unique designs for domestic, commercial or industrial use. 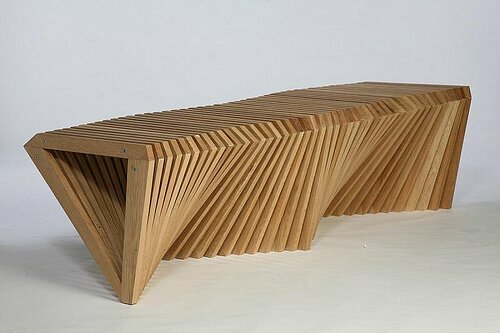 Undertaking a furniture design course is the best way to step into this field. You will acquire much needed design skills coupled with business skills to help you sell yourself and your designs. The good news is that there are many institutions that offer furniture design courses and degrees. Also referred to as FIDI, this institution offers international furniture design courses tailored to give a detailed account of Italy’s rich history and culture. It is a private Italian institute from which you can expect high quality and professional tutelage from their world renown faculty and staff. Faculty are registered architects or PHD level professors from Italy and international backgrounds. The Florence Institute of Design International offers a one year Master of Furniture Design program that allows prospective students to develop their creative, theoretical and knowledge of history. Students who study in this institute will also have the chance to pursue advanced areas of study like furniture design detailing, assembly, fabrication, design management among many others. All the courses offered combine the rich Italian traditions and modern technologies. What’s more, students will also be required to study Art History and the Italian language as part of their education. The one year Master course is a total of 30 weeks in duration and instruction is in English. The course aims to develop knowledge and skills from development of prototypes through to the manufacturing process . The Masters course has a focus on Italian Furniture Design and the teaching is conducted through lectures, design studios, and practical work. The program offers instruction in the the most up to date computer software including Rhinoceros, 3d Studio Max and VRAY. Admission is based upon the applicants prior level of experience and the program is designed for young graduates or those already in the furniture design industry who wish to further their skills and knowledge. Admission to the Master of Furniture Design in most cases will require a degree with a focus on interior design, industrial design or architecture. The course aims to develop students to the point where they have acquired training and a portfolio to support their interview for positions in the industry. FIDI graduates find positions as space planners, assistant designers, production coordinators. Following the gaining of industry experience graduates may eventually proceed into roles as leading designers or project managers or establish their own design firm or engage in freelance work. FIDI is located in proximity to some of Florence’s most important cultural sites and the school arranges regular field trips including to Uffizi Gallery many other palazzi, churches and museums as well as the exhibition Salone Internazionale del Mobile in Milan and Cersaie in Bologna. Italy is world renown for its furniture and a highlight is a visit to one of Tuscany’s furniture factories. FIDA also offer a 4 week Summer Furniture Design short course option running during July each year. The short course is designed to enhance knowledge and skills in a range of aspects of furniture design from design concept to prototype production. Students on the summer furniture design program lean about materials presentation, the history and theories of design and practical skills in in Italian and International furniture design. 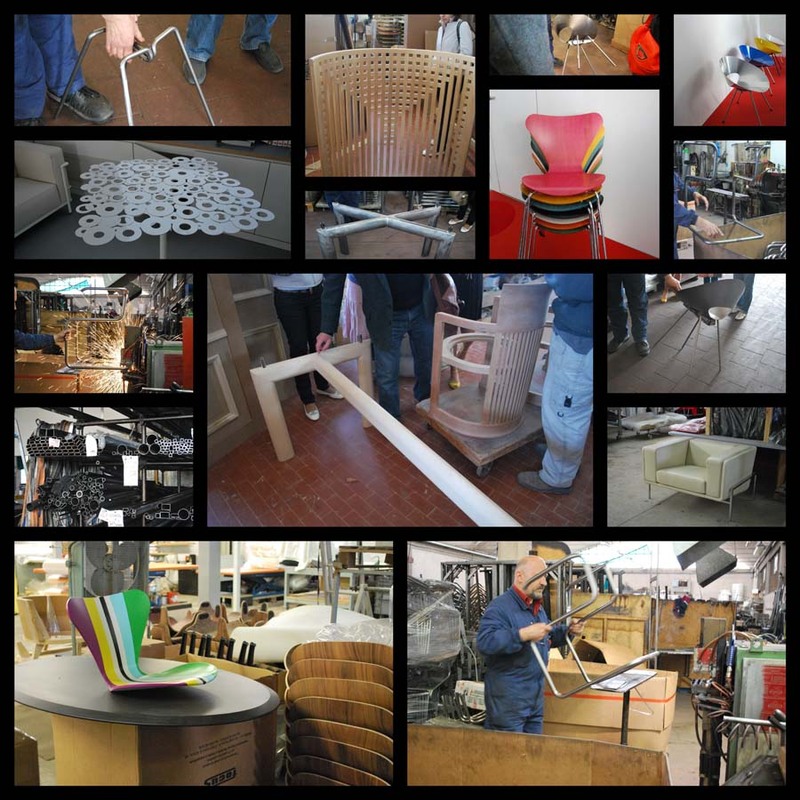 The short course is taught in English and teaches skills in furniture design as well as the theory and history. The short course is also well suited to people who have a general interest in furniture design and wish to explore this as an option without the commitment of a full degree program. Following completion of the program students will have a solid introduction to furniture design and may choose a more substantial program if they find this is a career they wish to pursue. Furniture Design courses can be combined with Italian language study for 3hrs per week which will undoubtedly assist them in their extra-curricular activities exploring the culture and customs of Florence and Italy. It is also known as RISD and is a college that offers design and fine arts courses. The college was founded in 1877 and is located in Providence, in the state of Rhode Island. Students wishing to apply to study in this institution will have to complete the well known “hometest” as an entry requirement. It is a very highly ranked as a design and art school in the US and as a prospective student you can draw inspiration from notable alumni who were educated in the same institute. It is also referred to as KCAD and is a certified institution under the National Association of Schools of Art and Design. The college is located in Grand Rapids in the state of Michigan. Anyone wishing to enroll into the college to pursue a course in furniture design can do so with ease as they offer a comprehensive undergraduate program in the said field. On completion a student will be conferred with a BFA in furniture design. R.I.T which is a privately run campus is located within Henrietta town, Rochester, New York metropolitan region and it offers a comprehensive undergraduate degree in furniture design and upon completion, successful students are awarded a BFA in the same field. The course offered by the Rochester Institute of Technology is the appropriate course for students who want to horne their creative skills. It offers its students technical training in woodworking and also offers the technical know-how of undertaking a wide range of practical subjects. The detailed curriculum provided by the institution is built on a strong foundation that covers the use and care of tools and education on more sophisticated tools to the final design and construction courses. Students undertaking a furniture design course at R.I.T get the added benefit of learning about the processes of developing a concept, drawing, business practices and so many other relevant fields. The course is formulated to create an all round individual once they have completed the course. It is a leading institution whose main aim to to continually prepare tomorrow’s furniture designers. It offers very unique and distinct BAs. One of which BA Furniture. The London College of Furniture also offers MA Furniture. This course is ideal for students who have previously undertaken and graduated with furniture based credentials. The MA course is geared to help students to maneuver ambiguous and complex problems. All students who are educated in this institution will have access to the newest and advanced technological systems as part of their education. This is an online education platform that offers prospective students an opportunity to concentrate in furniture design among many other creative courses. All students passing through this program will have access to professionally trained designers who are extensively experienced in their various fields of practice. Once students have gone through the course and succeeded in the same, they are placed in top firms to give them a head start on their chosen career. It is a university that is the best choice for individuals whose sole desire is to venture into a creative career. SCAD offers a lot more degree programs and opportunities for specializations than most art and design institutions out there. It sets up all of its students to become creative in their fields of choice. The curriculum offered encompasses traditional and new methods to create functional and relevant furnishings. This is a well-known furniture making school where one can choose to undertake a designer of craftsman course. All students who enroll in this school can choose the course they want depending on what they strive to learn and become. 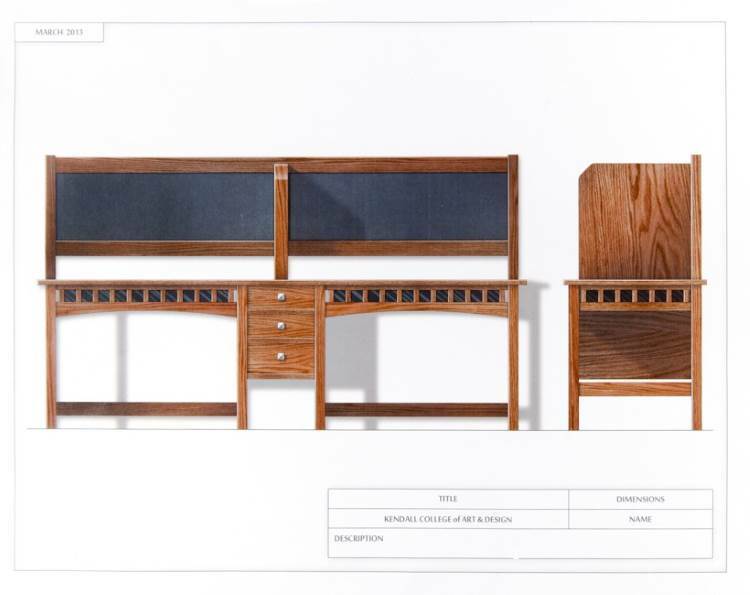 The staff and Waters and Acland strive to bring perfection in all their productions and you can be sure it is the best institution to pursue a furniture design course if that is really all you have ever been passionate about. It is located in the serene and picturesque village of Staveley within The. Lake District in England. Just about the most creative place to create exceptional creations! Located in Leicester DMU offers a comprehensive course that is geared to produce designers with a myriad of technical skills. The course promotes innovation and creativity in the creation of beautiful, timeless and technologically advanced pieces. The course is challenging and will call for one to think deep. Located in Norway the institution offers Bachelors degrees in furniture design taught with a combination of externally and internally design courses. The course opens a students mind to the possibilities of new designs and projects have to be completed on completing the course.